The UN has asked the Sri Lankan government to repatriate a military officer who is functioning as a peacekeeper in Mali due to alleged involvement in war crimes. A UN spokesman announced on Friday that the request for Lt. Col. Kalana P.L. Amunupure’s repatriation made “based on recently received information”. This was the first time the UN has asked the Government of Sri Lanka to repatriate a peacekeeper because of his participation in alleged war crimes during the country’s civil war. 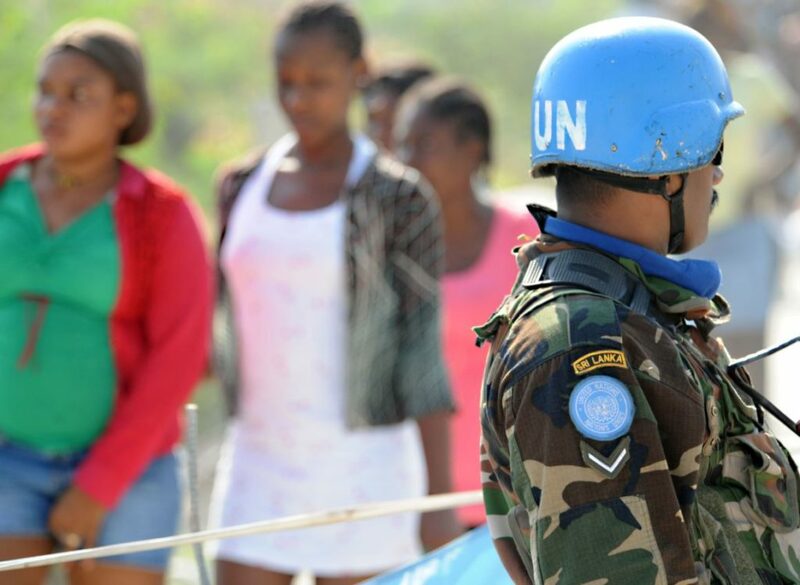 “We are delighted to see the dossier we submitted on Amunupure to the Department of Peacekeeping Operations in June this year has now resulted in this step,” said the International Truth and Justice Project’s executive director, Yasmin Sooka. “We still don’t know how many tens of thousands of Tamils died in the 2009 war and not one person has been held accountable – maybe this small step can give survivors a little hope that one day they will get justice. There is no doubt this action sends a very strong message to Sri Lanka that alleged war criminals can no longer be rewarded with prestigious UN jobs and in future will not escape stringent vetting,” added Sooka. A statement issued by the International Truth and Justice Project said; “During the final phase of Sri Lanka’s civil war in 2009 Amunupure was second in command of the 11th Sri Lanka Light Infantry which operated under the 58th Division. A UN Investigation in 2015 found reasonable grounds to say the 58th Division was involved in the repeated shelling of UN sites and hospitals as well as the killing of surrendees and torture. Amunupure’s unit is named in contemporaneous sources, including governemnt reports, as having been involved in the assaults on Puthukkudiyiruppu (PTK) town in February 2009 and Putumattalan in March 2009, both of which involved extensive civilian casualties. The UN report described doctors in Putumattalan being unable to reach the dead and dying because of intense shelling and gunfire. At the time the ICRC, which rarely makes public statements, called the impact of the military’s attacks on densely populated civilian areas near Putumattalan’s makeshift hospital “nothing short of catastrophic”. Amunupure was despatched as commander of the Sri Lankan contingent in Mali in December 2017. At his departure ceremony, the Sri Lankan army commander described the UN assignment as an international endorsement of the military’s record. “Sri Lanka must not be allowed to keep on using peacekeeping to pretend it has got away with its conduct in 2009. Three years ago the country co-sponsored a resolution at the Human Rights Council in Geneva promising, among other things, to establish a Hybrid Court and to vet public and security officials. These commitments have not been honoured,” said Sooka. In February this year, all deployment of Sri Lankan peacekeepers was suspended after the Sri Lanka Army tried to send peacekeepers to Lebanon whose human rights vetting had not been completed. The Army has announced deployments will resume in December 2018.